This crystal call packs 20 years of craftsmanship that kills into one call. 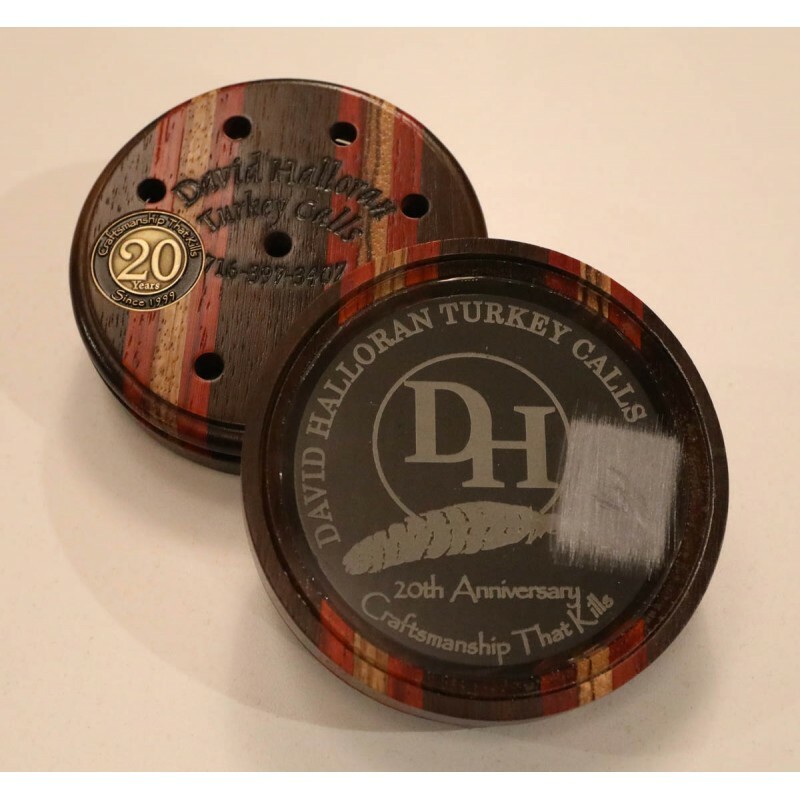 A laminated Peruvian Walnut, Padauk, and Zebrawood crystal call created to celebrate David's 20 years of call building. The pot features a custom made commemorative coin recessed in the back. It might look too nice to take in the woods, but once you hear it you won't go without it. Includes 2 strikers: a one piece turned striker and a Dymondwood. 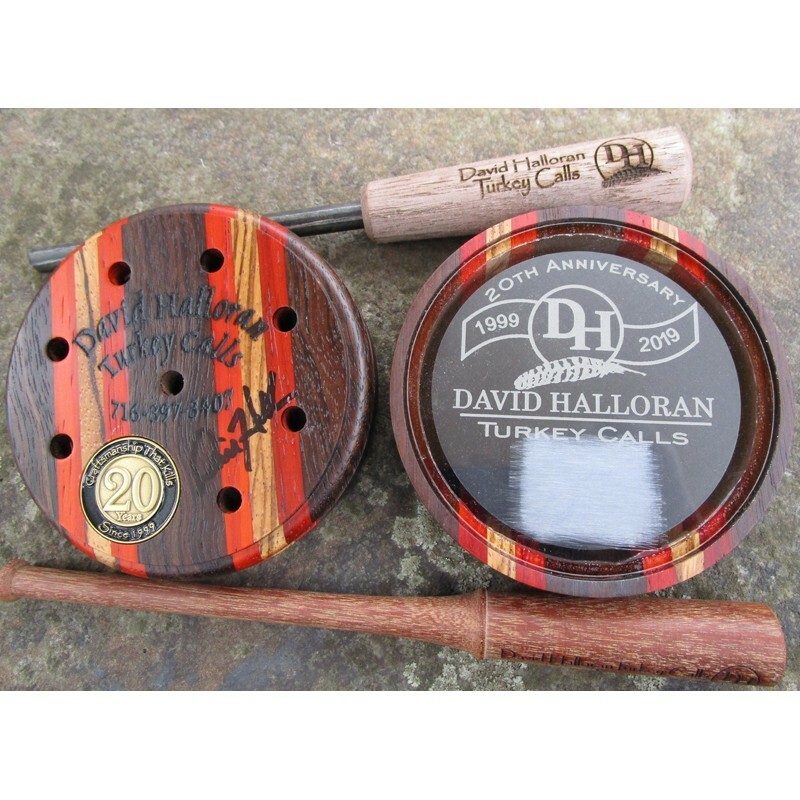 All calls are handmade and assembled by DD Adams Award Winning Call Maker David Halloran.